Hello. My name is Rob Skiba. 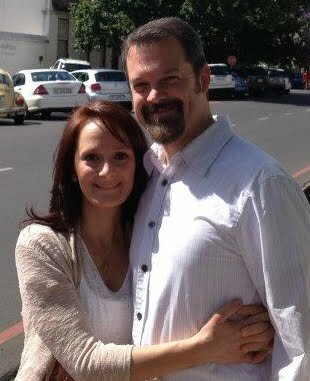 My wife Sheila and I are just simple people who love our Lord and Savior Yeshua. We don't have any fancy college degrees, wear special outfits, or have any titles. While we may not have any of those kinds of credentials, we are children of the King - and that's all that matters! Many have expressed their frustration with the typical church service of today. For whatever reasons, they do not feel they are being fed what they need or they are just fed up with watered down messages, another "trendy sermon series," gimmicks and all of the paganism disguised as Christianity. We can relate. For a while, we floundered with nowhere to go. All of that changed in November of 2010. Now we go to a local House Church. It is a wonderful, intimate setting where everyone knows everyone and all are welcome to share insights they learn from the Scriptures. You can not do that in a typical western style church. As we've shared our experiences with others, many have expressed their desire to have such a place to go to as well, but don't know where to go. We've decided to create a virtual environment to solve that problem. It's called the Virtual House Church. Here at VHC, we have spent several years going through the Torah, Prophets and New Testament with a live audience allowing others to share their insights and express whatever was on their heart. We invite you to listen and encourage you to study these things out for yourself. Test all things to see whether they be true. Keep in mind that we are students too, so our understanding on various topics may have evolved over the course of our studies, so don't be surprised if we have a different take on certain subjects from one year to the next. This is a journey and we are welcoming you to join us on it. Our hope is that this site will motivate you to pick up where we left off and that you will continue these studies with your friends and families. If you have been blessed by this ministry, please consider contributing to its continued growth and outreach potential. Indeed, we cannot do what we do without people like you sowing seed into our efforts to keep us going.